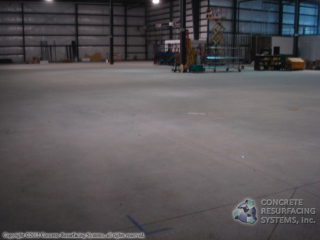 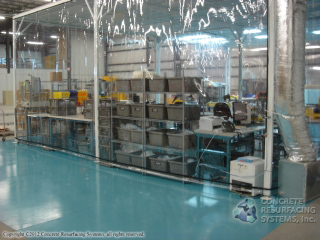 This medical device manufacturer in the Boston area needed their warehouse floor free of concrete dust. 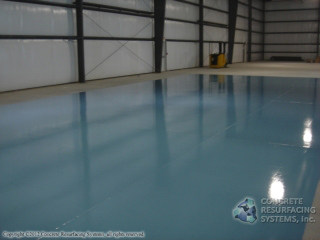 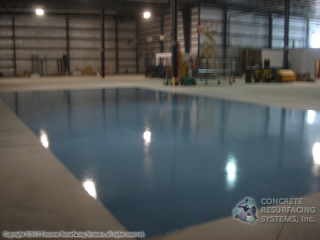 We prepped an area with a concrete grinder, applied an epoxy primer coat then applied a urethane top coat in light blue. 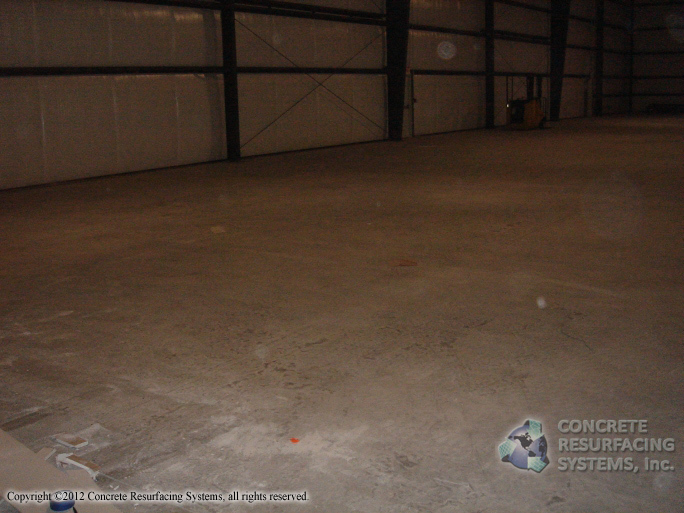 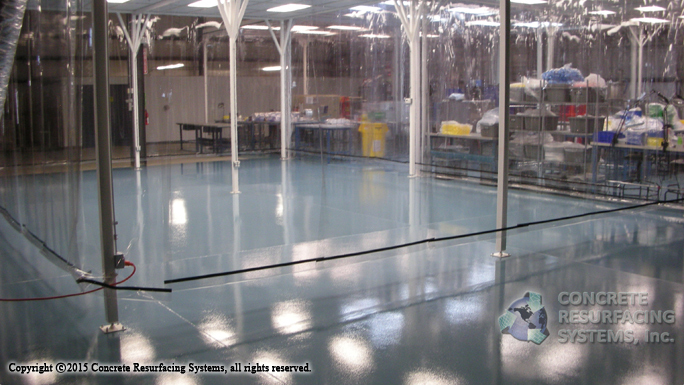 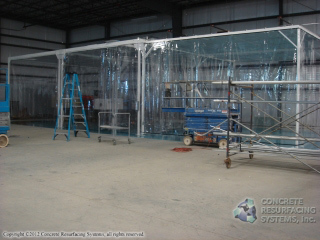 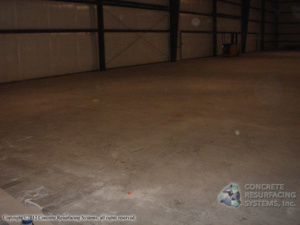 They were now able to construct a cleanroom on a bright dust free epoxy/urethane floor system.